Making your Life more meaningful is about pinpointing your Passion. Each one of us is born with unique strengths and talents and it is these that point to our life purpose. 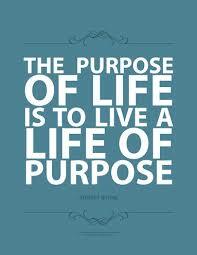 To live a purposeful life is why you are here, it is your Gift to the world!!! So, please, look deeply within yourself to identify your own reason for Being, your purpose in life. Most of us still haven’t taken the time to be truly clear about our Purpose, we are still on the treadmill of “sleep-eat-work-play-sleep” and have been too sidetracked by societies norms and the beliefs given to us by our parents and education system to truly search deep into our Soul to find our true calling. (1) Through out your Life you have been given clues to your Mission. These include your interests, your passions, your strengths and your unique gifts. These are ALL unique to you, and they reflect what you have been brought here to do. (2) Make a list of the times in your Life you felt most motivated and alive — notice if there are any commonalities between the things you’ve listed. – What are my skills, talents and gifts? – What am I most passionate about? – When am I most confident? What is it that I am doing when most confident, almost as if on auto-pilot? – What do others always tell me I am good at? – How would I change the world if I could? (4) Continue to sit quietly, focusing in your Higher Self, and then through meditation and prayer ask for divine guidance about your Life Path. (5) Develop a paragraph, no more than 3 sentences long, aggregating everything you have just learned …… your interests, skills, passions etc to what you received in meditation and prayer. Continue to refine these sentences over and over until you are convinced, in Your Soul, that have collected your Life Purpose into one mission statement. (6) Become aware of the opportunities that begin to present themselves to you. Since we are all One, and all come from the same Source, since we are all connected, then the Universe will bring you what you need. Watch how opportunities involving your Purpose begin to happen on time and when you need them. Watch how clues will appear just as you might have been tempted to give up. (7) You will notice the Law of Attraction working for you. Once you know your purpose, your entire being will be focused on this, you will Vibrate in perfect alignment with it and the Laws of Attraction will know this and respond. Your Thoughts and Words will support you since you will now enjoy what you are doing and have a knowing that you are now Living with meaning and purpose! ← Even just 5 minutes helps!! !